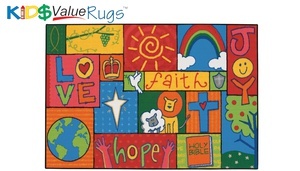 Inspirational Patchwork Rug 3' x 4'6"
The Carpets for Kids® line has award winning designs and high durability. 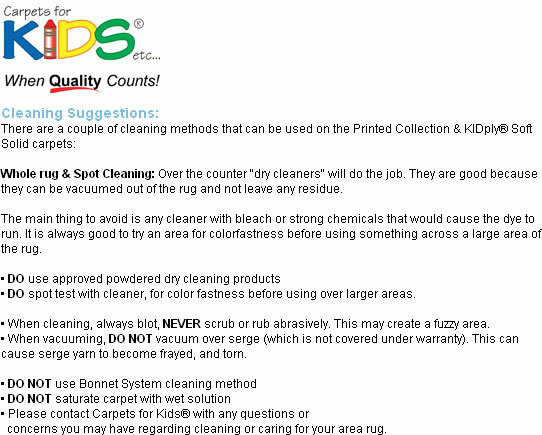 Now this famous manufacturer has added the KID$ VALUE RUGS line to meet the high demand of affordable ~ quality carpets. LOVE, FAITH, HOPE and JOY. The patchwork of themes found in the Bible are brought to life on this colorful and inspriational carpet.